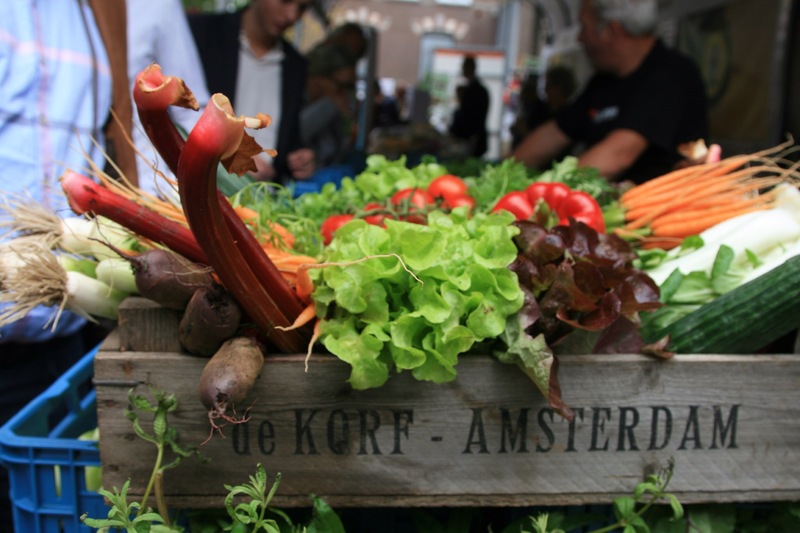 You will have seen if you followed this website earlier this week that food waste was one of the major themes at Chefs Revolution in Zwolle with two of the world’s best chefs Rene Redzepi and Massimo Bottura making it a point to highlight the problem in their separate presentations. Now, we are not great fans of the very large supermarkets which have over the years made us forget about crooked carrots or not perfectly shaped apples. But at the same time, this initiative to turn fruit and vegetables that is too ugly to sell into something edible should be lauded. A new concept in retailing is being tested in Germany. In this article in the Guardian we find a Berlin duo that has launched a supermarket with no packaging. You take your own containers and have them weighed. You shop, you take them to the till and the weight of your containers is subtracted and you pay for the net weight of your groceries. Supermarkets in many parts of the world have killed many small stores, grocers or artisans as convenience made way for quality. Over the past years, we have slowly started to see the rise of artisans in different cities. This article in the Guardian seems to hint that supermarkets are starting to feel the brunt not only at the top end of the market where people who can afford to care about food are choosing, where possible, to use their local suppliers. But even at the bottom end of the market, consumers are starting to realise that buying at the local greengrocer or market may actually be cheaper than the supermarket. Let’s see whether this is really the case. Elisia Menduni, restaurant critic for Italian newspaper and proprietor of her own site on all things culinary, Gazzetta Gastronomica is someone worth following. Here she gives a very interesting perspective about food in Rome while comparing it to the New York food scene. Worth reading. Sad was the life of man before cooking. This is the first in a series of essays published for the Mad Symposium on food. The book is titled Mad Dispatches. The essay by Stefano Mancuso, explores how harnessing fire and cooking was crucial to mankind’s evolution. The author of the essay says that the moment humans learned to produce and dominate fire – to cook – was an authentic revolution. Fire was essential for defines, staying active in darkness or creating tools but none was more essential than cuisine. With cooking, mankind won the most vital of wars, the one on food. Ian D’Agata here takes a look at the changing character of Italian wines and the move away from traditional styles. He looks at different grapes like Grillo from Sicily and Pecorino (no not a cheese) from Abruzzo. We all love lists. Here is one about the top 50 Italian wines from BIWA (Best Italian Wine Awards). The honours for the best wine went to Da Forno Romano, a Valpolicella superiore. Loire has been on our list of places to visit for a very long time. This article in the Guardian travel reminds us why. Bordeaux wines can be very intimidating for wine enthusiasts particularly since the best wines command stratospheric prices. Here you will find a list of 12 entry level wines compiled by Oz Clarke in Decanter worth searching for. And finally, to end with the theme of lists, here is one on 55 European foods worth traveling for. Not sure we agree with all the choices but that is the fun of lists.